I agree with Ariel on her hair. I do think that as her curls have the ability to clump as you can see in the low frizz picture, there is very poor definition in the high frizz state. Q: How do you style your hair and what products do you use? I wet my hair daily or sometimes every other day depending on the circumstances and I use tresemme naturals or suave naturals conditioner which I leave in, I'm not really sure if it should be considered washing since i'm not big on "shampooing". I use a cocamidopropyl betaine based cleanser by CURLS… even then I only use that when my scalp feels dirty, and I may also cowash with a cheap V05 conditioner (helps a lot with protein). 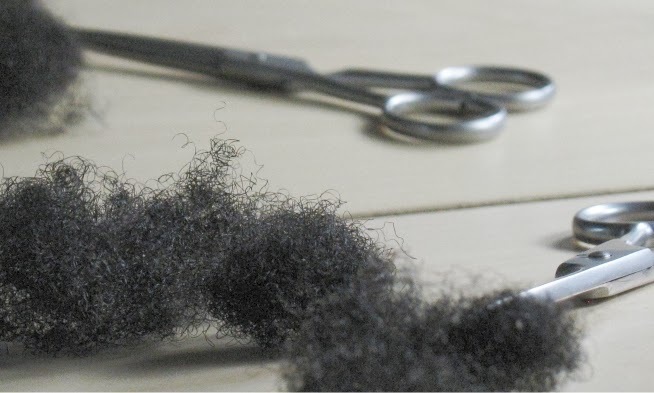 Q: I am wondering when you finish wetting your hair and apply the leave in, do you lightly comb or brush or scrunch at this point to encourage clumping? After doing this, do you leave your hair alone to dry? 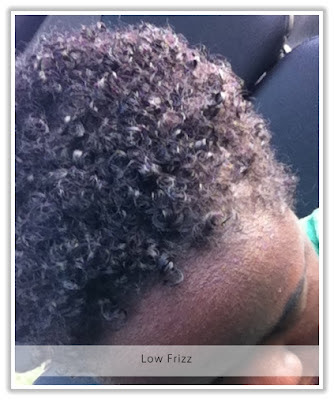 Continuously touching the hair while it is damp and drying usually encourages frizz. I apply my leave-in when i'm detangling my hair and I finger detangle. I don't touch my hair, but a lot of times other people do =/ lol, i've also noticed that a lot of times as soon as I go outside..pretty much immediately, my hair just frizzes. I'm not sure if it's because I have fine/thin hair. Q: Do you use any holding products e.g gel to style? I use my leave-in conditioners as my stylers because it's simple and I could never use gel because I cannot get the hang of it, it ALWAYS flakes. This is my first summer with natural hair so I haven't been sure how to combat the frizz and since i'm a college student I don't really have much money in my budget to try a lot of things so I've been wearing frizzy hair. 1. Your general process is really good overall for your curl and your hair - i.e washing with shampoo only when necessary, styling on wet hair, finger combing. 3. The reason hair frizzes immediately you go outside is because of the change in humidity, not because your hair is fine. This is the reason you need to use a holding product like a gel to stop your hair being affected by humidity. I totally understand being within budget and my suggestion is to try one of the herbal essences gels which are not that expensive. In order for the gel not to flake, use very little of it (like literally 2-3 finger scoops for your whole head). 4. If you still do not want to use gel or if where you live is very humid and gel is not working, there is nothing wrong with rocking with frizzy look. 1. Mahoganycurls on youtube seems to have similar curls, here she is styling her hair when it was shorter with a mix of gel and conditioner. 2.Elle from questforaperfect curl talks about looking at humidity and dew points before styling curly hair. My hair quickly frizzes up on me if I fail to moisturize it regularly. 2. Seal hair with oil or butter after leave in. The drier my hair becomes, the frizzier it gets. Sealing my hair helps to retain moisture so that my hair doesn't dry out as quickly. 3. Omit styling products that contain vegetable glycerin. I noticed when I stopped using products with glycerin, the humidity didn't affect my hair as much. May I also suggest homemade flax seed gel. It has a nice mild to medium hold, encourages clumping, is economical, compatible with most hair products and most importantly, NEVER flakes. I like to mix mine with a little aloe vera gel or juice for balancing my hair's pH. When my hair is at the correct pH, it naturally curls. Thanks for the tips. Glycerin is interesting because there is such disagreement on its use. I have seem many curlies both like and hate it. My hair (dense, types 3&4) is a little past my shoulder and very prone to frizz, especially in the middle of my head. Yesterday, I DC'd in four twists for 10-15 minutes, then got under the shower &gently rinsed (,the twists fell apart as I did so), squeezing the ends to remove the excess water (no tools &no raking)..Now in this case I left my hair to air dry without applying any product (laziness), but I was really excited to see that a lot of the curls remained clumped (didn't touch it much)when dried and it made me wonder at the results had I applied product. I'll definitely be repeating this new DC process and I'll try following with a leave-in while hair is still soaked (and no tools!) 'cuz this low-manipulation thing is finally making sense in my life! Note: I have found that in comparison to my own, absolutely frizzy hair, mahoganycurls' curls (lol'curls-curls') tend to be really defined really easily (well, compared to mine). I say this because I've tried -and failed terribly- with some products that worked really well for her. In other words, my frizzies, don't forget that your hair is individual and that trial and error (especially error!!) is how we learn and will one day master our very own frizz-balls. I agree with your view on individualism. I actually think Ariel's hair looks like it has potential to be very well defined like Mahoganycurls, I can see clear ringlets in the low frizz picture. I will also increase the amount of times I DC...I have been slacking since I started school so this may help, thanks for the tips everyone! I love this post! I've also been dealing with frizz in my crown area and typically I finger coil that are then leave it the heck alone. I've tried making my own flax seed gel, but it was a bit messy and since it only last for a limited amount of time it wasn't worth it for me. After watching one of Mahoganycurls videos (my curls are nothing like hers, lol) I've been adding a small amount of VO5 conditioner and then smoothing thru with the brown jar ecostyler gel. My hair LOVES this stuff and it doesn't flake and has a nice soft hold. And the price is super cheap which makes it even better. I would like to get some tips on Frizzy hair. I wash/condition and then apply some hair pudding for my twist and my hair holds very well with this new hair pudding by Elasta QP. I wear my twists for 2 to 3 days and then take them out. 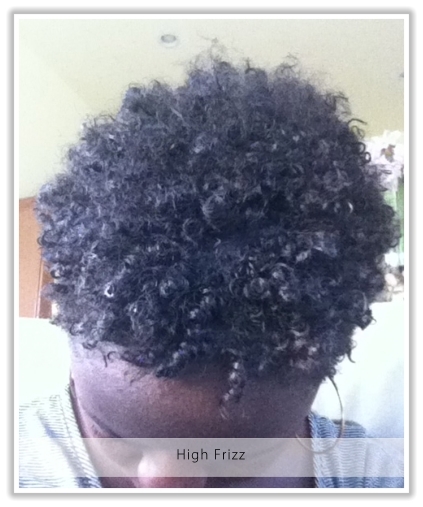 My twist would look great but once they are out for a couple of hours the frizz crepts right on in. The curl will be at the ends of most of my hair but the frizz is right there on the roots. Can someone share some ideals on that?